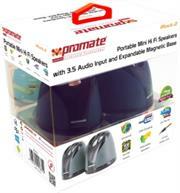 The Promate iRock.3 are twin portable stereo speakers for your smartphone, Tablet, Notebook, Laptop and any device with 3.5 mm audio jack. 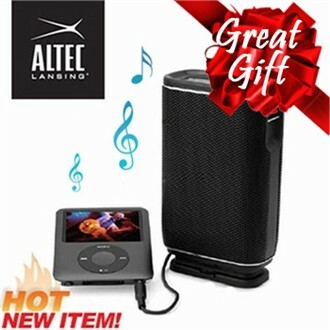 With its clip on custom-tuned vacuum bass design you can enjoy listening to music, or watch movies and keep the speakers on the stand or simply collapse them apart. The additional volume button on the back side of speaker allows you to control the sound level, or even turn it off, if not needed. 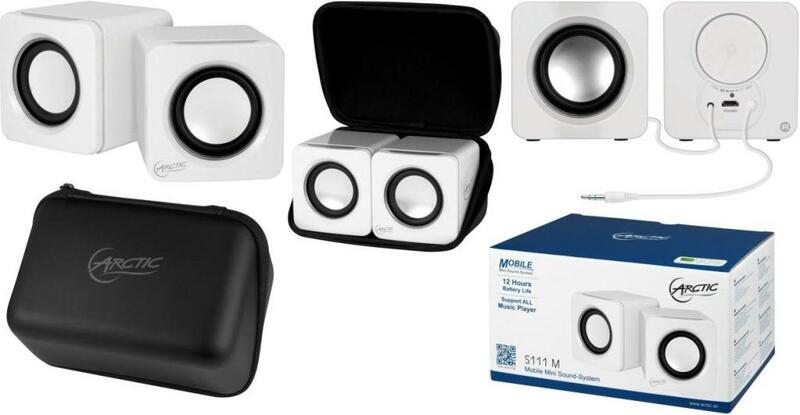 iRock.3 portable speakers comes with durable lithium-ion battery and long-lasting music play, which can be easily recharged with provided mini USB charging cable. iRock.3 is the simplest solution to enhance all your music needs on the go. 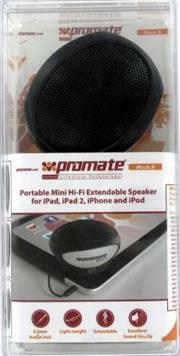 •Plays with MP3/MP4 players and other audio devices with 3.5 mm audio jack. •Perfect for movie sound enhancement and music experience on portable devices. The Promate iRock.2 are compact collapsible speakers with magnetic bases, perfect for your smartphone, Tablet or Notebook, Laptop for music and audio streaming. 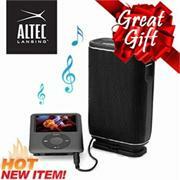 Ideal for watching movies or listening to music, simply connect to your device, untwist the base and enjoy the sound. The additional volume button on the back side of speaker allows you to control the sound level, or even turn it off, if not needed. 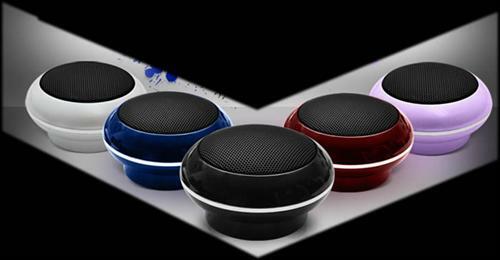 iRock.2 portable speakers comes with durable lithium-ion battery and long-lasting music play, which can be easily recharged with provided mini-USB charging cable. 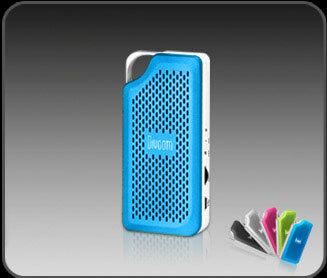 iRock.2 is the simplest solution to enhance all your music needs on the go. Enjoy rich, digital USB sound, edgy design, and convenient volume controls with the Logitech S-150 1.2 Watts 2.0 Digital USB Speaker. This portable notebook speaker does not require any battery as it includes a USB cable that will supply power. 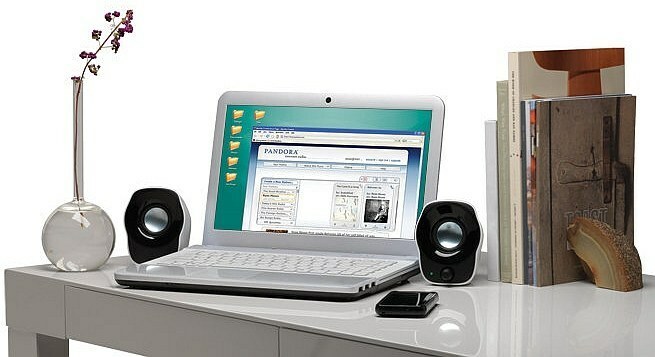 When connected to any laptop/desktop, this digital USB powered speakers with 2" dynamic drivers give the ultimate sound clarity. 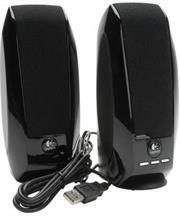 It has a power indicator that indicates that the speaker is on. 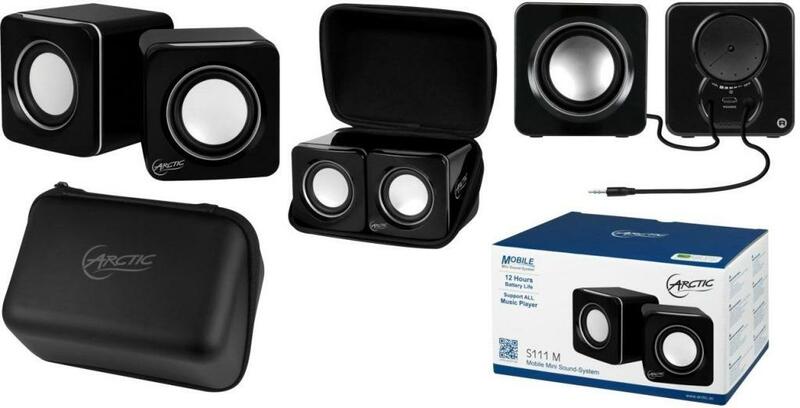 Offering high quality sound in a sleek and stylish package, these Logitech S150 USB Speakers are a cost-effective addition to any PC. The USB connectivity makes them ideal for use with both laptops and desktops, and they are light and compact so that you can take them anywhere. 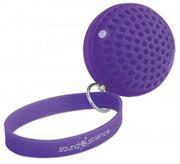 They even come with a travel bag to protect them from bumps and scratches while you are commuting. These wired PC speakers offer high quality, distortion-free digital audio, and feature built-in controls so that you can easily adjust the volume or mute the sound. A digital-power indicator lets you know when the speakers are on, and the satellite base is designed to give the speakers extra stability on your desktop. 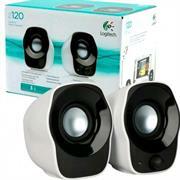 For high quality sound that you can take anywhere these Logitech speakers are ideal. Simple to connect just about any audio source. The Logitech's Z120 Stereo Speakers are an extremely affordable, easy-to-use pair of speakers for playing stereo audio from your computer or music player. 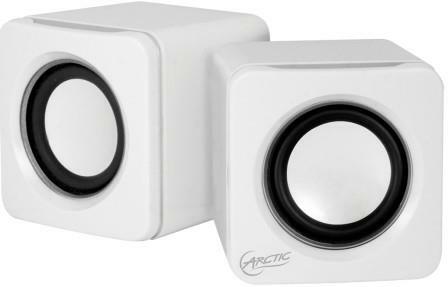 These compact, tidy speakers save you space on your desk and feature an integrated power and volume knob. They are powered via your computer's USB port but receive audio by being connected via the built-in 3.5mm audio cable. With that cable, you can connect the speakers to your desktop, laptop, or music player and play audio from any of these devices So it’s easy to enjoy your favorite music, videos and more. 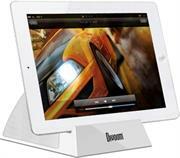 The power/volume controls and cable management system make it simple to enjoy whatever you’re listening to. 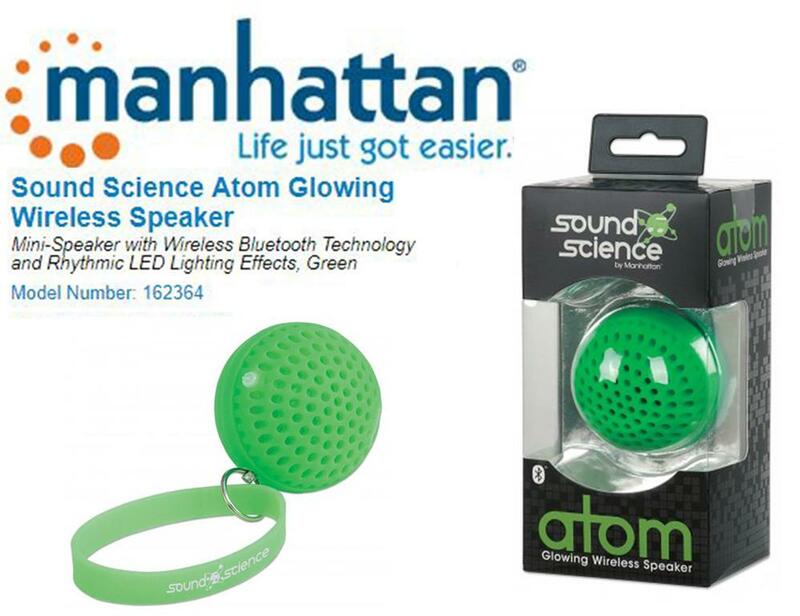 Manhattan Sound Science Atom Glowing Wireless Speaker - Mini-Speaker with Wireless Bluetooth Technology and Rhythmic LED Lighting Effects, Green, Retail Box , 1 year Limited Warranty. Like its namesake, the Sound Science Atom Glowing Wireless Speaker is small, simple and more powerful than you might imagine. Using Bluetooth technology, it connects easily to smartphones, tablets and notebooks from up to 10 meters (30 feet) away. 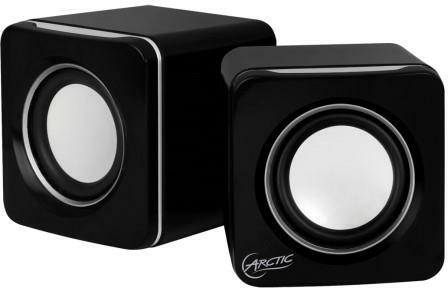 Its powerful 40mm driver and passive subwoofer deliver music that is louder and clearer than you might expect based on its compact size. And, its grab-and-go wrist strap makes it perfect for carrying with you virtually anywhere. But, the real power of the Atom comes from its ability to transform virtually any scenario into a party. Colorful, pulsating multicolored LEDs put on a dazzling light show that's sure to keep things exciting, and its brightly colored housing glows vividly under black lights. 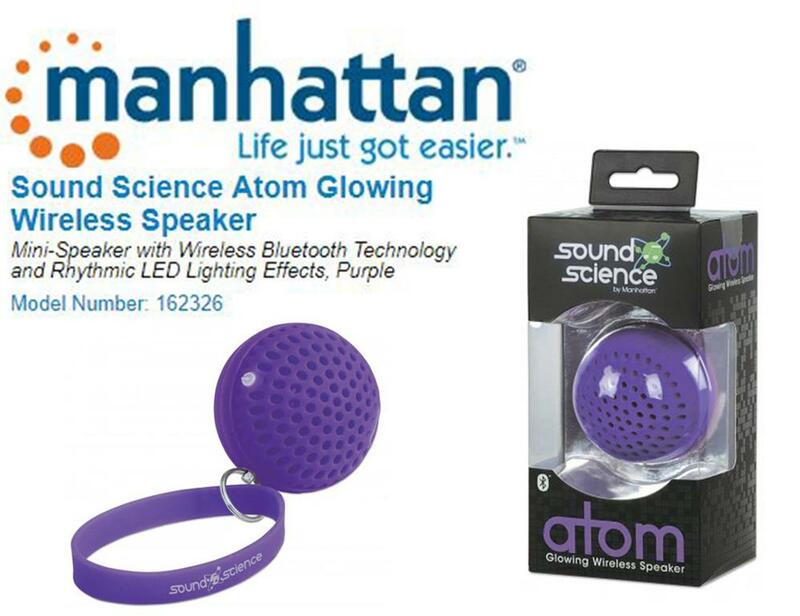 Manhattan Sound Science Atom Glowing Wireless Speaker - Mini-Speaker with Wireless Bluetooth Technology and Rhythmic LED Lighting Effects, Purple, Retail Box , 1 year Limited Warranty.